Welcome to day 5 of the Blog Hop! Thank you for joining me on the last day of the blog hop. Hopefully you found some help or inspiration for the upcoming school year. 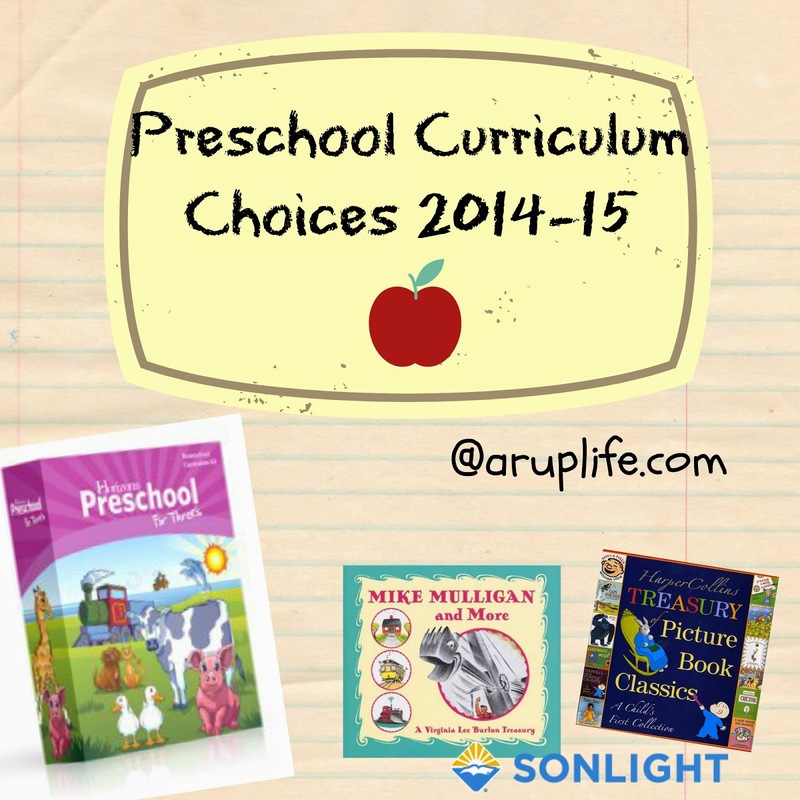 Today I will be sharing our curriculum choices for our youngest son. He is currently 3 but will be 4 in November. I have no desire to rush him along in his school years so he will be doing preschool for two more years. I imagine he will be pretty advanced for kindergarten but that is okay. We can take a gentle approach all years. So for his curriculum I choose Horizons Preschool for 3s. This set has worksheets, bible memory and a bible story. It is gentle in the worksheets which will work well for my little guy. The thing lacking with this curriculum is a solid literature program. Horizons encourages you to seek out books to read to your little ones. I choose to add on a set curriculum. I debated between Before Five In A Row and Sonlight. Ultimately I chose Sonlight. I liked the teacher guide and all the stories that were included. I purchased Sonlight P3/4 used. I think trying to get the set second hand is the way to go because otherwise it is a little pricey. I'm planning on purchasing P4/5 next to start whenever we finish P3/4. If Sonlight had a solid worksheet system I would have just used that because the literature appeals so much to me. However they only focus on the literature for P3/4. The next level P4/5 has a workbook set but I'm frankly not impressed. Another thing I'm in the process of making is a Morning Board. I have purchased a pocket calendar and printed a bunch of calendar pieces for it. I'm going to do a number/letter, our bible memory, Greek alphabet letter and character trait with this tool. I'm beyond excited about it.